> Kun_tiqi Balsa Wood Surfboard "Retro Fish Twin"
Kun_tiqi Balsa Wood Surfboard "Retro Fish Twin"
Classic Twin Fin Retrofish for high speed "down the line" surfing. Most of the imported materials are renewable by using 100% balsa wood blanks and vegetable oil based resin. Due to this the surfing community can make their contribution to preserve our planet by surfing this sustainable wooden surfboards. Smaller and weaker waves can be surfed perfectly due to the width of the surfboard and the full rails. The flat Scoop-Rockerline facilitates high speed surfing. The double concave in the bottom gives the Fish optimal speed with good mobility. 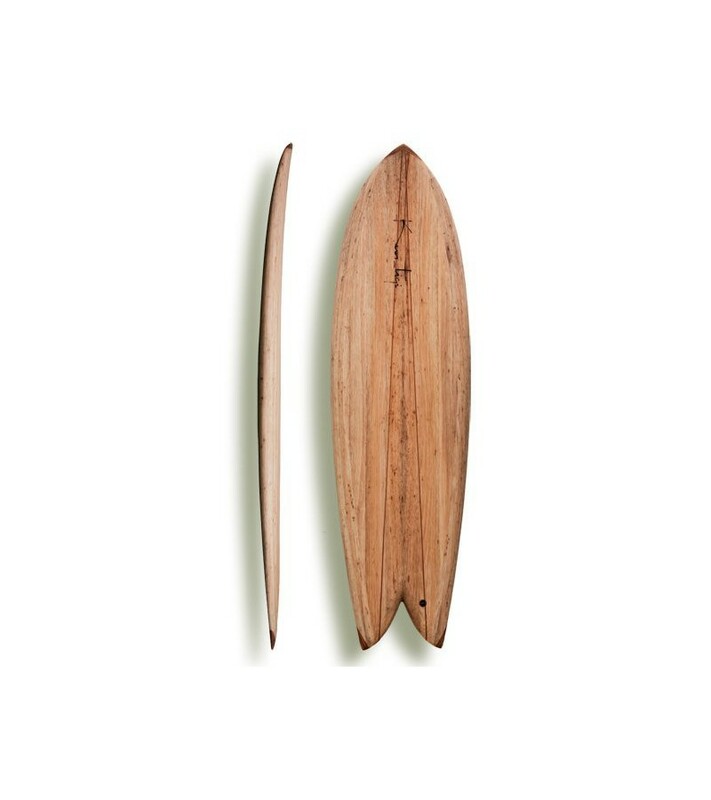 Two hardwood stringers give the surfboard extraordinary stability. Nose and tail are reenforced with hardwood. The balsa wood "Retro Quad Fish" surfboard contains 2 Future fin plugs and makes this surfboard a fast and loose. The optimal wave height for this board is 0.5 to 1,8 meters.